The Ford-Volkswagen EV riddle is still unsolved. The rumors about the Volkswagen and Ford EV partnership are still alive as Volkswagen CEO Herbert Diess said that both manufacturers "identified other potential cooperation" (besides commercial vehicle partnership). "Rumours of a VW and Ford tie-in have been circulating since the start of the month, with speculation that the brands will also develop electric vehicles together." 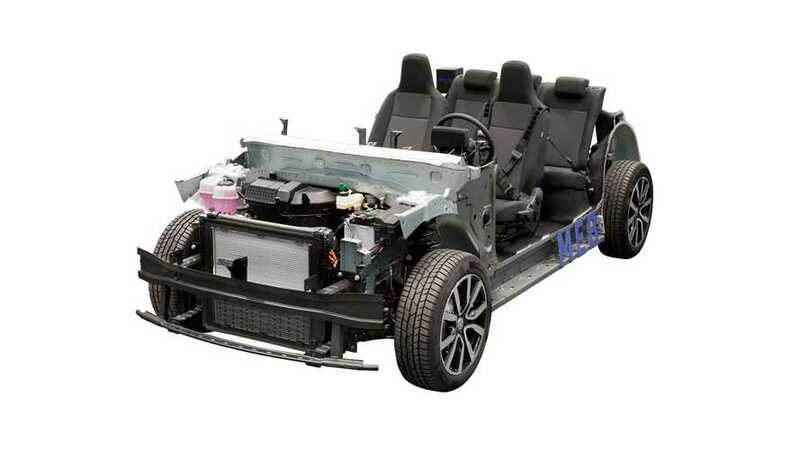 Speculations concern the new MEB platform that could be used in Ford electric cars, but it would be strange if Ford would decide on that option, because to use the borrowed MEB platform would seem to indicate that Ford doesn't fully support electric cars. We believe that a partnership like this depends on the Ford policy and forecast about the electric car future. If Ford doesn't expect EVs to play a major role, then the company could use VW's tech and do a few low-volume models to save costs, but if Ford believes in EVs, it probably would be willing to develop its own tech.